Kind of like Strength-Tracker, I'm essentially building it for myself; to learn React, and to form some good habits;-) I'll put it on Github once its underway. The app will work like this: You define habits and pick how often you will perform them. 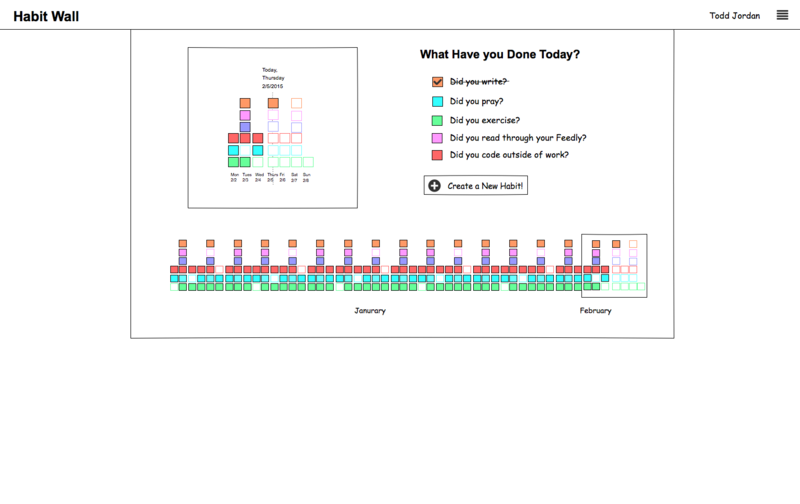 The app will essentially build a wall (most frequent habits at bottom), and fill in bricks when you perform tasks. Your goal is to avoid holes in your wall. Once I get the basic wall building behavior going, the next step would be to introduce achievements. Some kind of award for keeping it up for extended periods. As before, I'll post updates as the app gets functional with thoughts on the technology.